I’m really sorry; sometimes I get a bit carried away when I’m sewing something and I forget to do more step by step pics. Oh well. 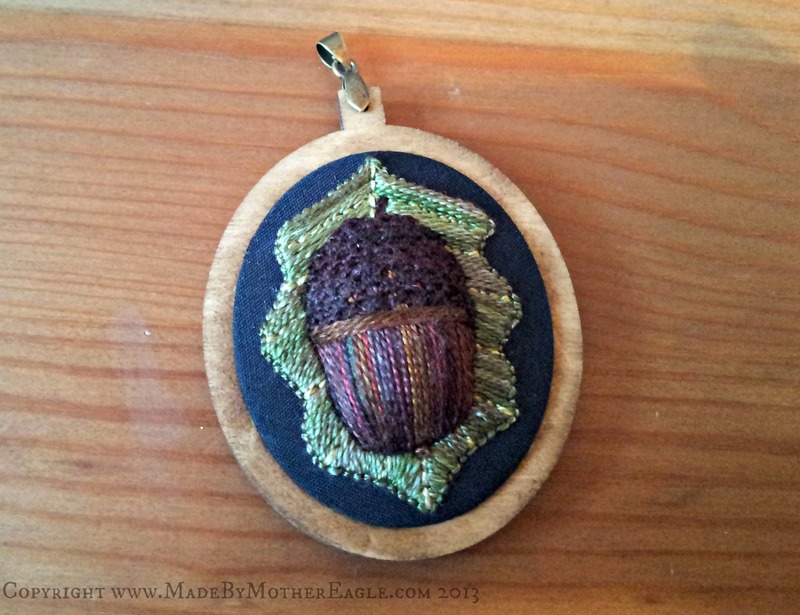 So if you’ll remember I was feeling a bit ‘blobby’ about the acorn in it’s solo state and felt like i had just enough space to add an Oak leaf sitting behind it. It’s not how I usually plan designs – to have these kind of big changes at the late stages but that’s the evolution of design I guess. It’s kind of nice. 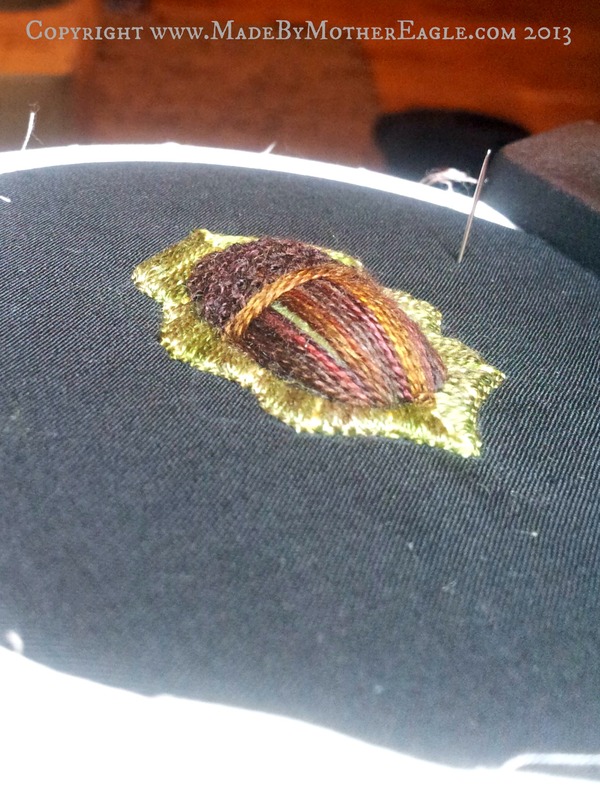 Do you know of all the stitches I find the one most difficult to do is satin stitch? Weird I know. 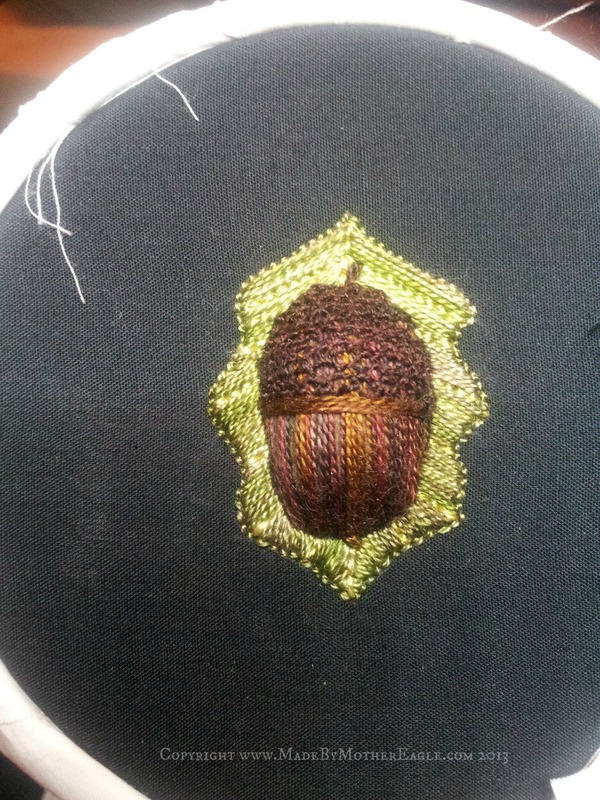 I always find it’s so tricky to make sure all the stitches are laid in the same angle and look smooth etc. Anyways. So what I did was drew the leaf shape on to the fabric freehand, then starting at the root of the leaf I satin stitched in variegated silk each side. 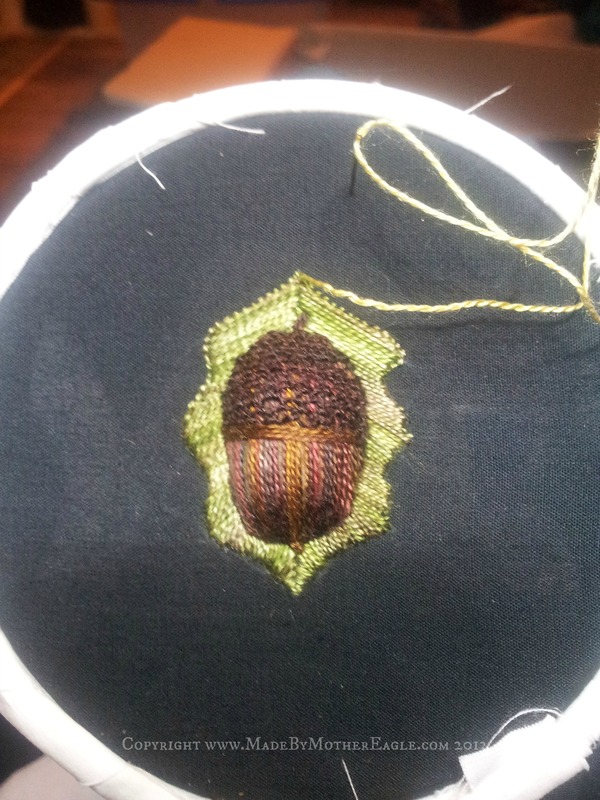 Then I added a lighter shade in back stitch to show the veins, and finally tidied it up with an outline of back stitch. I actually love this now. It looks so rustic and the wooden frame is perfect for it. looks great. I like your thread choices too.